A Wisconsin company is to become the first in the US to microchip employees. 1. Microchipping is already taking place in Sweden. 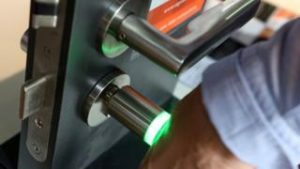 One day, this technology will become just another payment and identification method, only instead of a credit card or phone, there would be a microchip between your thumb and finger. Would you consider this more safe and convenient? What method would you prefer? 2. If microchipping becomes a thing, what do you think are its other possible applications? Would you want to get microchipped? 3. What are the possible disadvantages of microchipping?